KANAB – Some outdoor enthusiasts may not know the destruction they can cause to the delicate ecosystem of Southern Utah. Yet that is exactly what happens when people travel cross country on motorized vehicles. 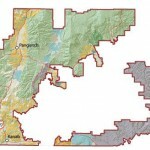 To minimize this impact, the Bureau of Land Management Kanab Field Office has created a map of public lands that designates routes that motorists can use and areas that are restricted. The map also provides information about other recreational activities. Motorists may be tempted to go cross country in their search for antlers that were dropped by deer or elk over the winter. But doing so can impact soils, vegetation, riparian areas and wildlife—the very elements that help deer and elk to thrive in Southern Utah. 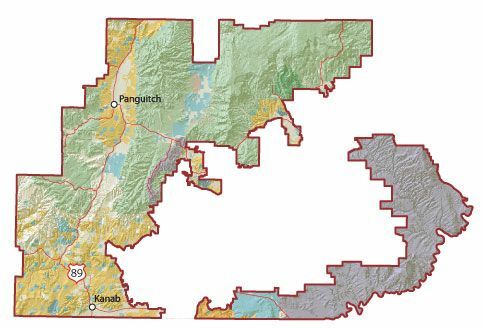 It should be noted that the map covers the portion of Southern Utah overseen by the BLM Kanab Field Office. Only a minute piece of Washington County is included on the map. Details of the map can be found on the designated route portion of the Kanab Field Office website. Public land users are encouraged to pick up the map at the BLM Kanab Field Office, 669 South Highway 89A, Kanab, from 8 a.m. to 4:30 p.m., Monday-Friday. Questions can be directed to Misti Haines at (435) 644-1282.